Crawlspace Insulation: How Much Does it Cost to Insulate a Crawlspace? | DR Foam Insulation Services Ltd. Crawlspace Insulation: How Much Does it Cost to Insulate a Crawlspace? 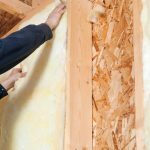 | DR Foam Insulation Services Ltd.
DR Foam Insulation Services Ltd.
Home > Insulation Services Blog > Crawlspace Insulation: How Much Does it Cost to Insulate a Crawlspace? Crawlspace Insulation: How Much Does it Cost to Insulate a Crawlspace? Adding crawlspace insulation to your home is a beneficial way to ensure your property’s comfort, especially in the winter, and energy efficiency. While you may be excited about the benefits an insulated crawlspace will bring, you also want to get an idea of what your investment will be like. Although the total cost for crawlspace insulation varies by project, here at DR Foam Insulation Services Ltd., it generally costs anywhere from $2,500 to $3,500 to insulate the crawlspace in an average home. Know that for us to add crawlspace insulation, the area must be at least two feet tall throughout. Since the biggest factor that plays into what your total cost for an insulated crawlspace will be is the size of the area, the height of your crawlspace will heavily impact your investment. Other factors that will impact the cost of your crawlspace insulation project will include whether or not we create a vapor barrier in the space and the material we use to insulate your crawlspace. While open cell spray foam is often a good option for crawlspaces, other circumstances lend themselves to using closed cell insulation. Generally speaking, closed cell insulation tends to be a more expensive product. We promise that overall, insulating your crawlspace will be well worth the investment. If you have any questions about what it will cost to insulate your crawlspace or to schedule an estimate, get in touch with us today. You’ll find that your Barrie, Ontario home or business is equipped for greater energy savings and comfort when you rely on our professional insulation services at DR Foam Insulation Services Ltd.
You can count on us for all your insulation needs in Barrie, ON. Request your free estimate today! Alcona, Bracebridge, Bradford, Collingwood, Gravenhurst, GTA, Huntsville, Innisfil, Midhurst, Muskoka, Newmarket, North Bay, Orillia, Stayner, Wasaga Beach.